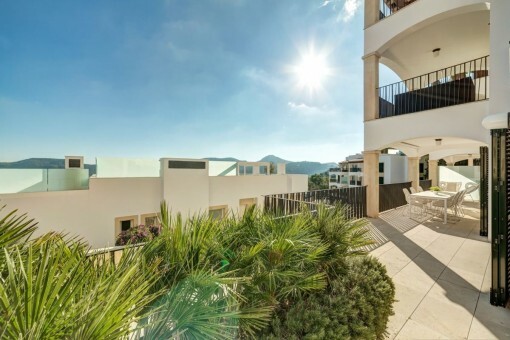 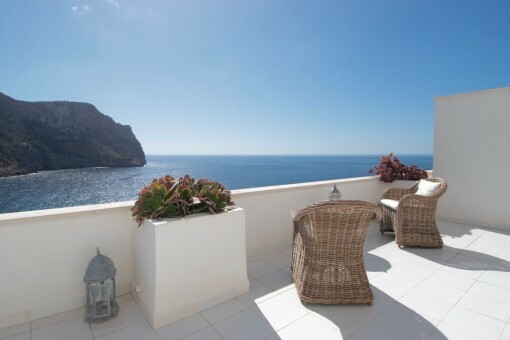 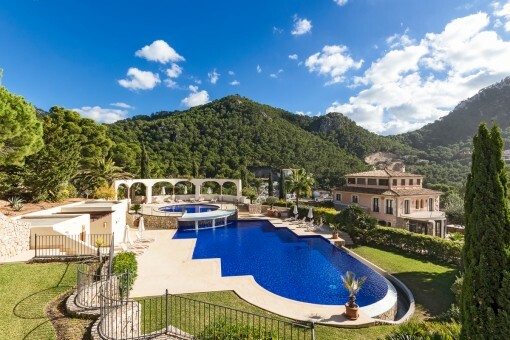 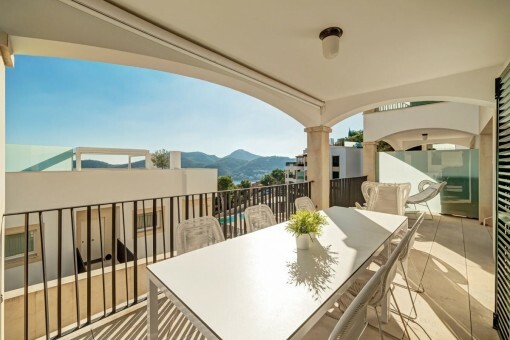 This very modern and bright apartment is located in an exclusive residential complex in Puerto Andratx, high over Cala Moragues with fantastic views of the harbour. 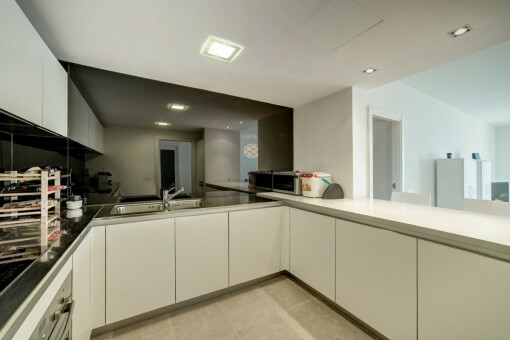 A lift goes directly from the underground car park to the residential area. 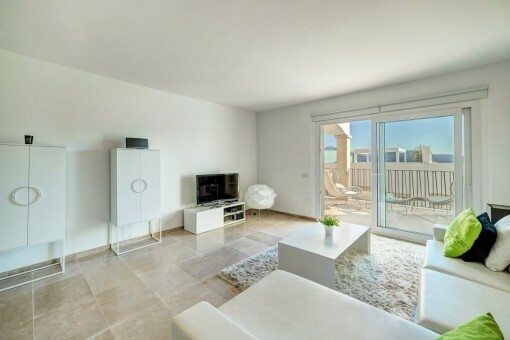 The minimalistic apartment offers ample space with a total of 3 bedrooms and 2 bathrooms and an open, fully equipped kitchen. 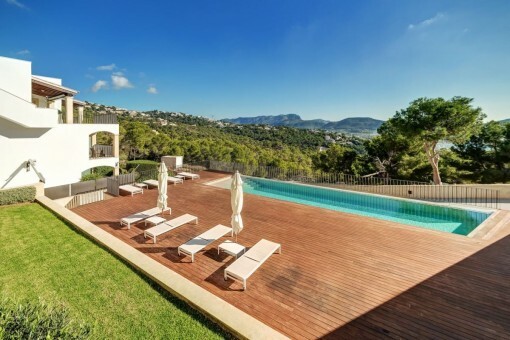 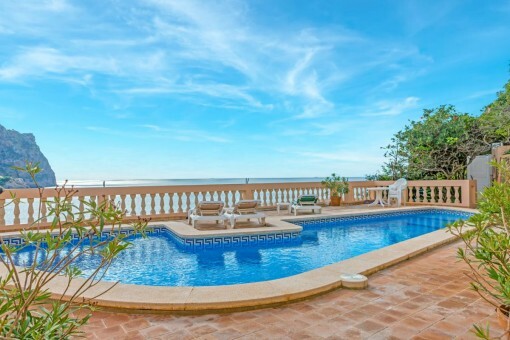 The living area accesses the large, sunny terrace which overlooks the pool and has beautiful panoramic views. 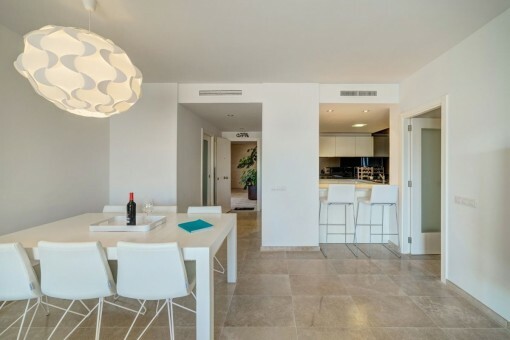 Throughout the living area attractive and bright materials were used, and the entire house, including the terraces, has a modern stone floor. 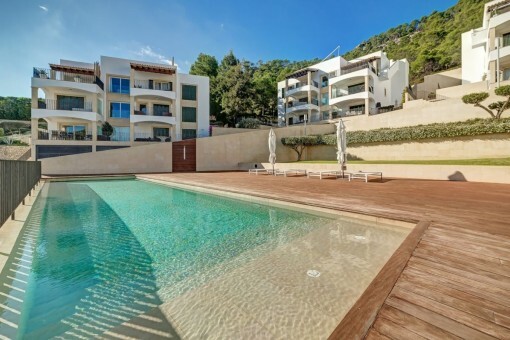 The orientation ensures sunshine all year round, and the underfloor heating ensures comfortable winter temperatures. 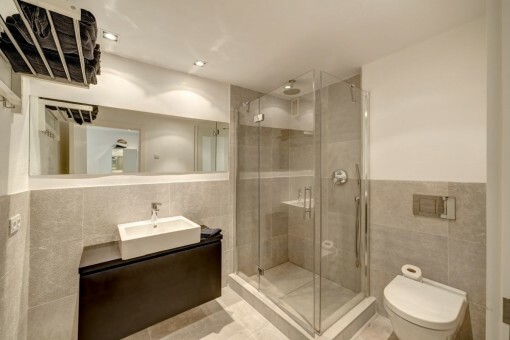 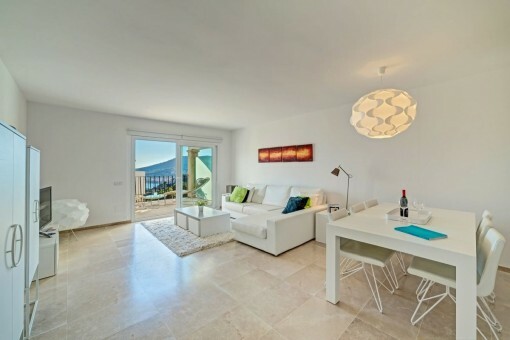 I'm interested in: Modern apartment with views of the harbour in Puerto Andratx (Objekt-Nr.109933). 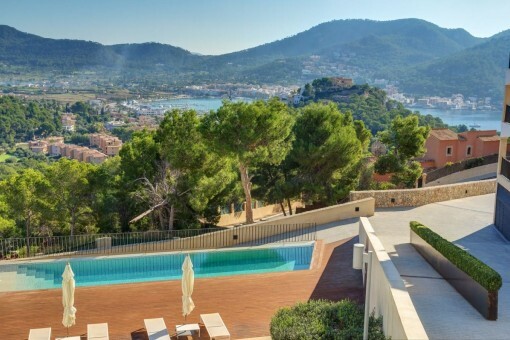 you are reading: Modern apartment with views of the harbour in Puerto Andratx-purchase · Porta Mallorquina Real Estate Rating 4,8/5 by 200 testimonials.